Like the post title suggests, I have a couple of reviews to write. I'll keep them short and sweet. 2. "Inception"--(2010) Despite this being my third or fourth time watching this film, I still found it amazing. "Community"--(2009- ) "Community" is incredibly witty and hilarious. It's hard to pick a favorite character, though I am tied between Chang and TroyandAbed. Yes, I do have an affinity towards Chang because he is Asian. But he's funny and odd at the same time. TroyandAbed: Troy is funny, Abed is the best, but them together is magic. "Friends"--(1994-2004) "Friends" is filling the "friend void" that I've developed since I came home. Enough said. "The Voice"--(2011- ) I've always been a fan of singing shows. I've watched American Idol for a huge part of my life, but I feel this show may take it a step further. The not-as-good artists are already sifted out and so we end up with talent like this. Absolutely beautiful. You can tell I'm doing a lot with my life. I also went to see "How To Succeed In Business Without Really Trying" a couple Friday nights ago with Illia and Camille. It was amazing. And I love Daniel Radcliffe more than ever. I have to admit, I was hesitant at first to see this play. 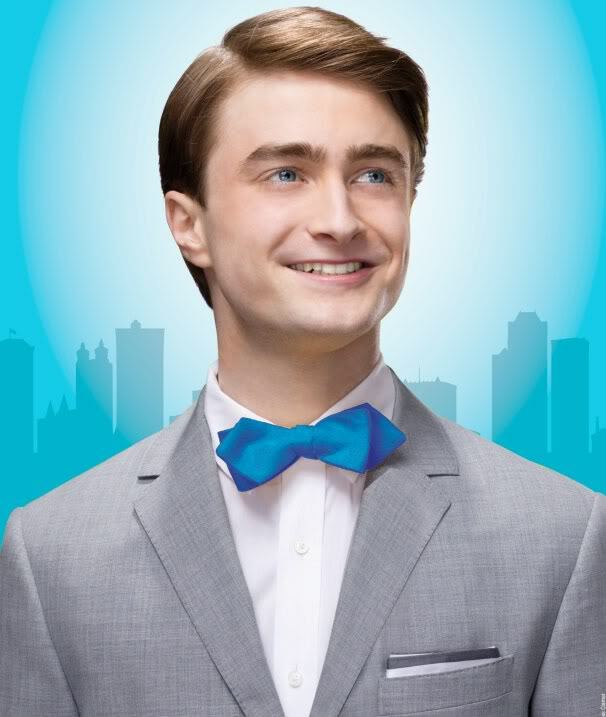 I was reading reviews trying to narrow down my "Plays to See" list (for discount tickets, join the Playbill Club; I got 30% off for this play) and a couple reviews said that Daniel tried too hard trying to break out of the Harry Potter mold and more than half talked about wizards and magic. But why? The whole time I was watching Daniel on stage, I did not think of Harry Potter once. And that's saying something, since I am such a Harry Potter nerd (I almost cried watching this. And my friends can attest that I broke down and sobbed in the movie theatre when Dobby...passed...in Part One). Anyway, Daniel's American accent was oddly nasally, though not enough to get on one's nerves. It added to his character J. Pierrepont Finch as he came off as a really eager young man. His short stature made him seem even more lovable as he became that one kid who just wants to impress everyone. And when he sang, it was the right voice for the play. Oh, you should know I'm not a pro when it comes to reviews...I just tell you what I liked and what I didn't like about it and whether or not I would recommend it.